You can now pre-order Visions & Dreams, the debut album from Spanish melodic hard rock band Sound Of Eternity, to be released June 16 via MelodicRock Records. Sound of Eternity is a female fronted melodic rock band formed in San Pedro Sula, Honduras in 2013 by Jean Funes (Guitars) and Beatriz Aranda, the lead vocals from Cordoba, Spain. Its background comes from the band “Codigo Eterno”, which makes melodic rock in Spanish since 2004, and was formed by guitarist Jean Funes. The debut album “Visions & Dreams” is filled with passionate songs inspired by melodic rock acts like Def leppard, White Heart and Petra, also modern rock bands like Skillet, Anberlin and Fireflight. It was mixed and mastered by Erik Martensson (W.E.T., Eclipse, Jimi Jamison), who plays bass and keyboards on the album. Also with Andreas Passmark (Narnia, Rob Rock, Work of Art) on bass, as a guest studio musician. The cover artwork is made by Carl Andre Beckston (Monowasp) and booklet design by Nello Dell’Omo from Art For Music. Sound Of Eternity is: Beatriz Aranda – Vocals and BGV, acoustic Guitars; Jean Funes – Electric Guitars; Rui Prado – Drums / Guest Studio Musicians: Erik Martensson – Bass, Keyboards, Background Vocals; Andreas Passmark – Bass. Frontiers Records April 2014 Releases Spot featuring: Winger, Sebastian Bach, Three Lions. Eric Martin – The Voice of Mr. Big will play nine dates across the U.K this December forming an exclusive UK tour that includes a date at The Underworld, London (Friday 12). The tour will begin with a Scotland Exclusive at Bannerman’s, Edinburgh on Dec 4 and will then visit Newcastle, Grimsby, Bolton, Sheffield, Chester, London and Birmingham before closing in Swansea, Wales on Dec 14. Tickets on sale this Mon 19 May. The Mr. Big front man will be performing a crowd pleasing mix of his solo material along with Mr. Big hits that fans all over the world have grown to love throughout their career. In 1985 and 1987 Eric released “Eric Martin”ќ and “I’m only fooling myself”ќ solo efforts, which are lathered with Eric’s signature soulful voice and candid lyrics. In 1988-89, Eric would team up with Billy Sheehan, Pat Torpey and Paul Gilbert to form Mr. Big. They would enjoy enormous success with the release of 6 studio albums, numerous hit singles and 6 top-selling live cd’s. All combined, worldwide sales top the 7 million mark. Eric’s third solo album, “Somewhere in the middle”ќ was written during the two-year hiatus from Mr. Big and released in 1998 in Asia and Europe. During the summer of 2001, Eric and the rest of the Mr. Big guys released their last effort, “Actual Size.”ќ In between promoting and preparing for Mr. Big’s 2002 “Farewell Tour”ќ, Eric continued to record songs for his fourth solo cd. He promised a return to his “rawk roots”ќ and he definitely did so with the album, “I’m Goin’ Sane”ќ which gathered excellent critics and was released in Asia, Europe and The US in late 2002. After the success of a Japan tour, a European “Gods Festival”ќ and a 23 city US tour, Eric decided to go back into the studio to record “Pure,”ќ a EP that covers his hits in an unplugged and stripped acoustic form. In early 2004 brought Eric back into the studio to record “Destroy All Monsters”ќ which would be released in Japan, Europe, The US and the most recent, South America. The album sound is something Eric calls “Distorted Pop”ќ with a focus on his rock roots. In 2008 Eric joined forces with an all-star group including Mark Slaughter, The Nelson Brothers, Jack Blades and Kelly Keagy to form the supergroup, Scrap Metal. Scrap Metal plays shows whenever each guy has some time off of their individual careers. Mr. Big regrouped with all original members for a worldwide reunion tour in 2009. They had so much fun that they decided to release a new album. “What If”ќ dropped in 2010 and reviewers raved about the 4 members creating their original sound with a current feel. The guys set out on another world tour and are currently writing for their next album. 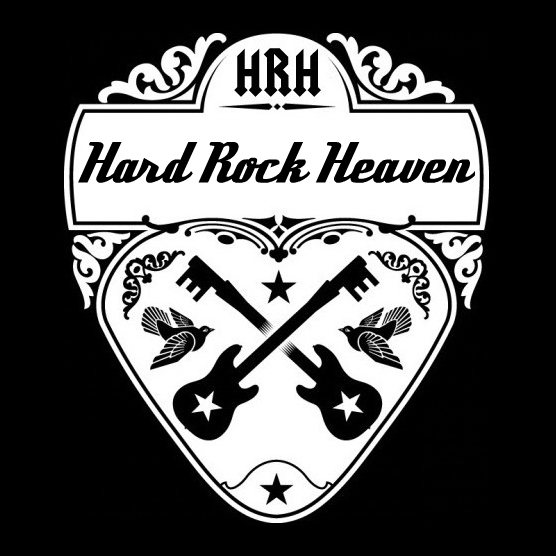 Moving to more recent times, in 2012, one of the largest rock operas in the world contacted Eric to be featured on their new album. Avantasia is a German based rock opera born to Edguy front man, Tobias Sammet. Eric traveled for six months with Avantasia covering Asia, Europe, South America and Canada. Eric has been asked to join the band for their next tour starting at the infamous Waken open-air festival in front of 80,000 concert goers this summer. Ticket prices regionally start from Ј10.00 (London Ј15.00). Please check with your local venue box office for further details or visit Eric’s official website www.EricMartin.com. July 11, 2014 will see Axel Rudi Pell celebrate his 25th Anniversary as a solo artist by performing a very special show at the prestigious Bang Your Head Festival, in Balingen, Germany. “This year we are celebrating the 25th Anniversary of my solo career, my first solo album Wild Obsession came out in 1989. Therefore, we will play a very special and unique Show at the Bang Your Head!! !ќ Festival in Balingen, Germany, on July 11th to celebrate this and we will headline the festival on that day! This will be no regular show by far! Of course we will play a lot of songs with the recent AXEL RUDI PELL line-up featuring Johnny Gioeli, Bobby Rondinelli, Ferdy Doernberg, Volker Krawczak and myself, but this will only be 1/3 of the complete show approx… As this year also sees the 30th Recording Anniversary of my former band Steeler (the first record was released in 1984), we will reunite in the original Line-Ups (Peter Burtz, Tom Eder, Jan Yildiral and both Bassplayers Roland Hag and Volker Krawczak) to perform a couple of songs for you. The reunion will only happen on that day and it will be an exclusive one-off! Furthermore we will have a few ARP vintage members there and we’re proud to announce that both Vocalists Rob Rock and Jeff Scott Soto among original Drummer Joerg Michael will enter the stage too to play a few older ARP tracks! Graham Bonnet (ex- Rainbow, -MSG, -Alcatrazz), Joe Lynn Turner (ex- Rainbow, -Deep Purple, -Yngwie Malmsteen) Doogie White (ex- Rainbow, -Yngwie Malmsteen, Michael Schenker’s Temple Of Rock) John Lawton (ex- Uriah Heep, -Lucifers Friend), Tony Carey (ex- Rainbow), Vinny Appice (ex- Black Sabbath, -Heaven & Hell, -DIO). Axel Rudi Pell released a new video for the song “Long Way To Go”, taken from the latest chart album “Into The Storm”. The video was directed by Tim Assmann: youtu.be/3tLsZa7wk6Q. The majority of hard rock bands that manage to break through to the masses do so with a killer video clip. And Rubicon Cross has a worthy one on their hands with Bleed with Me, off their fast-rising self-titled album, of which a “deluxe edition” will be available for purchase on May 19th exclusively through BestBuy (which comes with a poster and bonus tracks): www.bestbuy.com/site/rubicon-cross-deluxe-only–best-buy-with-bonus-tracks-poster-cd. –The amount of red brick dust in the factory coated every bit of our equipment. –Behnke’s drums were shot in a service elevator. –The lighting was created by volunteers waving lights above the drums. –Simon the bass player refused to go in a room with spiders so was shot in a hallway. –The band shot a “Hello Cleveland” tribute to Spinal Tap that day, soon to be released. –CJ’s flight was so held up in traffic that the band had shot the drum AND bass shots already by the time he got there. –Expecting nothing, Brett Ihde had laid on full catering including, sandwiches, cold meat buffet, chips, candy, large bottle of Jager, vodka, Jack, crate of Guinness and crate of lager (these got consumed during the process of the video). –Band started drinking at 11am. To see for yourself what all the buzz is about surrounding the “Bleed for Me” video, visit: http://www.youtube.com/watch?v=dFneEfoJbn8. And also be sure to check out the making of the “Bleed with Me” video: youtu.be/YOVY3Vb64Bc. For more info, visit: www.rubiconcross.net / www.facebook.com/rubiconcrossband. Swiss rockers Shakra are without a vocalist. Tis from the band: John leaves Shakra! We are saddened by the fact that John has decided to leave us. We are losing an incredibly great singer and band member. With his loveable, quiet character, he has given us much pleasure during the past four years. We unfortunately have to accept his decision, and wish him well for his future! Now, we’re forced to search for a new singer… You singers out there, get in touch with us if you wanna commence a new era! Thom, Thomas, Roger, Dominik. New York, NY (May 15, 2014)–Eagle Rock Entertainment is proud to announce the DVD, Blu-ray and Deluxe Limited Edition Boxed set release of the critically acclaimed Banger Films documentary Super Duper Alice Cooper on June 3 [MSRP $14.98 DVD, $19.98 Blu-ray, $69.98 Deluxe Edition]. Premiered at the Tribeca Film Festival this past April, Super Duper Alice Cooper is the first ever “doc opera” film, presented with a dizzying blend of documentary archive footage, animation, and rock opera. The film was also screened in theatres nationally in late April. The 13th edition of the Tribeca Film Festival will take place from April 16 to April 27 at locations around New York City. For more information on Super Duper Alice Cooper, please visit www.SuperDuperAliceCooper.com or like the Facebook pagewww.facebook.com/superduperalicecooper. A new Showcase has been added to the site for the excellent debut Seven album, due out June 23 via Escape Music. Check it out. Widely known as the original “Space Ace” and founding guitarist for 16 cumulative years (over 2 tenures) of the multi-platinum selling rock band Kiss, Frehley is demonstrably the most popular original member. In addition to having the best-selling solo album career (vintage or current) among the original foursome, Frehley’s self-titled Ace Frehley, released in 1978, went on to sell over one million copies, producing the only Top 40 single, “New York Groove,”ќ from any of the legendary Kiss solo albums; (peaking at #13). The massive hit was most recently featured in an episode of cult show “Entourage”ќ and was also KISS’ second bestselling download in 2012, besting such KISS Army anthems as “I Was Made For Lovin’ You,”ќ “Beth”ќ and “Calling Dr. Love”ќ even after 36 years. Since departing from KISS, Frehley went on to release four more solo albums and one live EP including his most recent effort, Anomaly in 2009, which received a welcoming response among critics. “‘Anomaly’ shows why many rock and metal guitarists list “Space Ace’ as a prime six-string influence,” said Rolling Stone. Following up their 2011 self-titled debut, the band’s second release ‘Retrogrenade’ pays homage to almost every genre Cherone has presented in the past and still finds room to give you something new. Inspired by their classic rock roots, “it is the collective effort of the Band flexing their musical muscle” says Gary. Diverse tracks include the Aero/DC inspired ‘Rock & Roll Clichй,’ the hook laden ‘Hello I Must Be Going’, the epic blues of ‘Where Do We Go From Here’, to the sweet acoustic broken-hearted harmonies of ‘Goodbye.’ Hurtsmile rebels against traditional cohesiveness and does not attempt to capture a specific mood. It rather bombards you with a multitude of emotions and challenges you to go along for the ride. Hurtsmile is Gary Cherone on vocals, Mark Cherone (Flesh) on guitar, Joe Pessia (Tantric/Dramagods) on bass and Dana Spellman on drums. To download “Rock & Roll Clichй” please go to: www.pledgemusic.com/projects/hurtsmile/updates/35280. Track Listing: Rock & Roll Clichй, Hello I Must Be Going, Big Government, I Still Do, Sing A Song (My Mia), Anymore (Don’t Want My Love),Where Do We Go From Here, A Melody For You, Wonder What, Walk Away, Good Bye, Pump it Up. WebLinks: www.hurtsmile.com / www.facebook.com/Hurtsmile / www.twitter.com/hurtsmile. Dallas, TX – April 29, 2014. North American syndicated Rock radio show and website InTheStudio: The Stories Behind History’s Greatest Rock Bands celebrates the 35th anniversary of Van Halen II with a look back at four formative Van Halen albums. The quintessential American hard rock band Van Halen’s 1978 debut all but guaranteed their election to the Rock ‘n’ Roll Hall of Fame on the first ballot, quickly becoming a benchmark for every hard rock band ever since. Six years later they even topped that with 1984, one of the most popular and influential albums ever. Every one of the four Van Halen albums in between, II, Women and Children First, Fair Warning and Diver Down would all sell millions and each would top its predecessor on the album sales chart. These early years, although undeniably successful, came with a price, and by 1982 Van Halen had become a series of contradictions: even though selling a million each on Van Halen II and its successors, as well as hundreds of thousands of concert tickets, their record label was concerned over a lack of mainstream hits and a shallow well of songs. Creative frustration along with personal conflicts within the band would eventually lead to a post-David Lee Roth Van Halen. In a related article, Geoff talks to Billboard: www.billboard.com/articles/news/6070287/geoff-tate-puts-queensryche-lawsuit-behind-him-the-whole-experience-was-such-a. Michael Wilton of Queensryche will be the very special guest on this week’s episode of Noize In The Attic (Where Your Past Comes Back To Haunt You) broadcasting this Friday 1-3PM EST on WNHU 88.7FM New Haven, CT (streaming live on www.wnhu.net) The in-depth interview brings us up to speed on all things Queensryche plus Michael goes back in time with stories on growing up, touring with Ozzy and more! Free podcasts are available on iTunes or by following the link at www.noizeintheattic.com where you can also find additional air-times and affiliates. Newspapers in the United Arab Emirates are reporting that the American drummer for the rock band Scorpions has been sentenced to one month in jail after being convicted of offensive behavior in Dubai. The government-backed National newspaper reported Tuesday that James Kottak was convicted of insulting Islam, raising his middle finger and being under the influence of alcohol while in transit at Dubai airport. The reports allege Kottak was heard ranting about “non-educated Muslims” and that he covered his nose when he saw Pakistani and Afghan passengers nearby. He also reportedly pulled his pants down. The Gulf News daily says he was arrested April 3 en route from Russia to Bahrain, where the German band was scheduled to perform at a Formula One race. Kottak was a no-show at the April 5 concert. The newspapers say Kottak admitted to drinking but denied other charges. The Scorpions’ manager didn’t respond to requests for comment. Kottak’s local lawyer couldn’t immediately be reached. Kottak joined the Scorpions in 1996. Signum Regis line-up 2014: Mayo Petranin – Vocals; Filip Koluљ – Guitars; Ronnie Konig – Bass; JaЎn Tupa – Keyboards, backing vocals; Jaro Jancula – Drums. The latest Signum Regis album “Exodus” was released late 2013 through Ulterium Records. The album feat. guest vocals from Michael Vescera [ex. Yngwie Malmsteen, Loudness], Matt Smith [Theocracy], Lance King [ex. Balance of Power], Goran Edman [ex. Yngwie Malmsteen] and more. Signum Regis are currently working on new material, and will hit the studio later this year to record the follow-up to “Exodus”. Legendary San Francisco Rock ‘n Roll DJ and personality Nikki Blakk will add major rock ‘n roll power to the Carnegie ROCKS @ VIP Premiere Event! Her passion and enthusiasm for rock only proves that this event isn’t your ordinary art exhibit or concert. It’s a unique, never been done before, rockin’ bash. Nikki Blakk is an on-air personality at San Francisco’s 107.7 The Bone (KSAN) Monday through Friday from 7PM to Midnight. She is also a host for The Metal Zone, which is featured every Friday night from 10PM to 1AM. The Carnegie Arts Center is proud to announce a commitment to music in the community through the newly created Carnegie Music Fund. The fund will support music education in all forms and will continue to make an impact long after the “Rocks” exhibit closes in late August. The Music Fund will help to capture the national and international enthusiasm for Carnegie ROCKS! To contribute and help us accomplish our $20K Goal, please visit: bit.ly/PLM9Ms. The historic Carnegie Library opened in 1916, and is now one of only a handful of art centers in the region. The Carnegie’s programs include exhibitions, education classes and programs, lectures, and activities in artistic genres as diverse as dance, music, theater and more. At least 25% of all programming is dedicated to children and teens. The Carnegie Arts Center Foundation is a 501 (c)(3) non-profit organization and all donations are tax deductible to the extent allowed by law. To purchase Carnegie Rocks @ VIP premiere tickets: Carnegie Rocks @ VIP Premiere Event! is a fund(d)raiser and will be held on Saturday, May 24. Limited tickets are still available. www.carnegierocks.eventbrite.com.